Much of the work Kendall does is custom portraits. 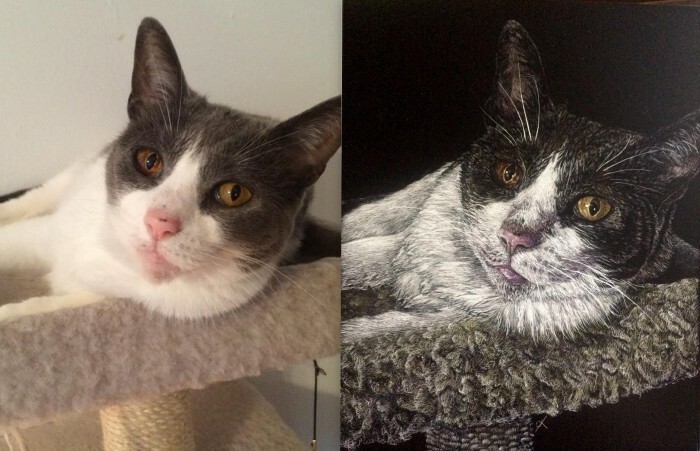 You can see here some of the pet portraits and commissions that she has done for people in the past. 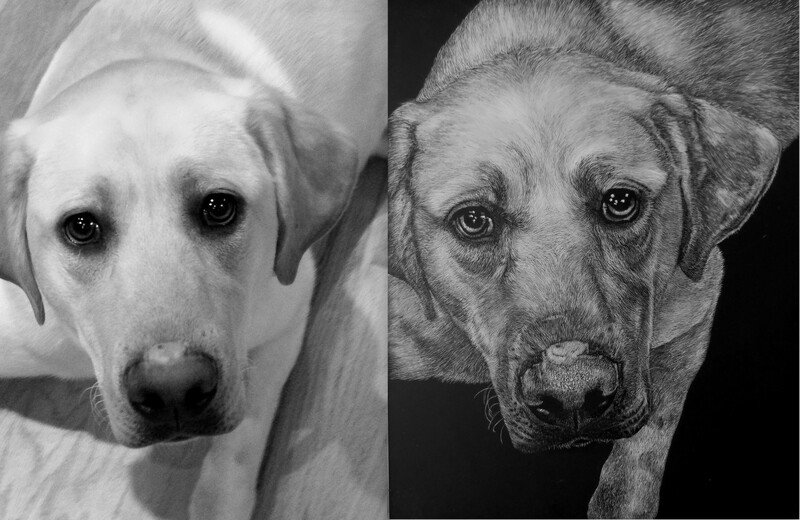 Click here to find out how to commission a custom scratchboard portrait from Kendall King.